Early today we reported center Weston Richburg may be headed to the New York Jets, and now guard D.J. Fluker might be on his way out as well. Fluker signed a one-year prove it deal after struggling to live up to his potential with the San Diego Chargers. The guard proved his worth in 2017 with the New York Giants, and will likely be searching for the highest bidder which may not be New York. 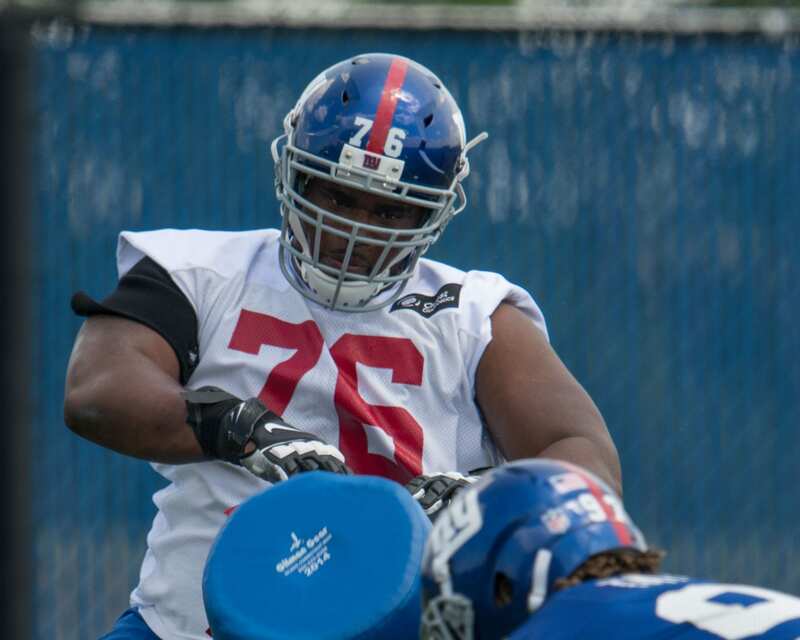 The Giants are trying to find the most value in free agency for their offensive line, and by letting Richburg and Fluker go, it will leave them two quality lineman down. Reports of general manager Dave Gettleman pursuing star guard for the Carolina Panthers, Andrew Norwell, is the only offensive line addition that has been expressed. It’s possible Gettleman decides to take a lineman in the draft to replace Ereck Flowers or Fluker. Besides Fluker and Richburg leaving the Giants, former tackle Bobby Hart was also released leaving Big Blue with three less lineman. How can the Giants put together a serviceable offensive line in 2018 with the options available in free agency? The answer is, they can’t… They will need to address the position in the draft. How Does Saquon Barkley’s Measurements Stack Up Against Other RB’s? Hopefully he can find the talent where there seems like there is none. He found Norwell as an UFA, so maybe he strikes gold again! Not worried, Gettleman will fix our offensive line! Sign free agents and use the draft. Will also have to create some cap space to sign these players.